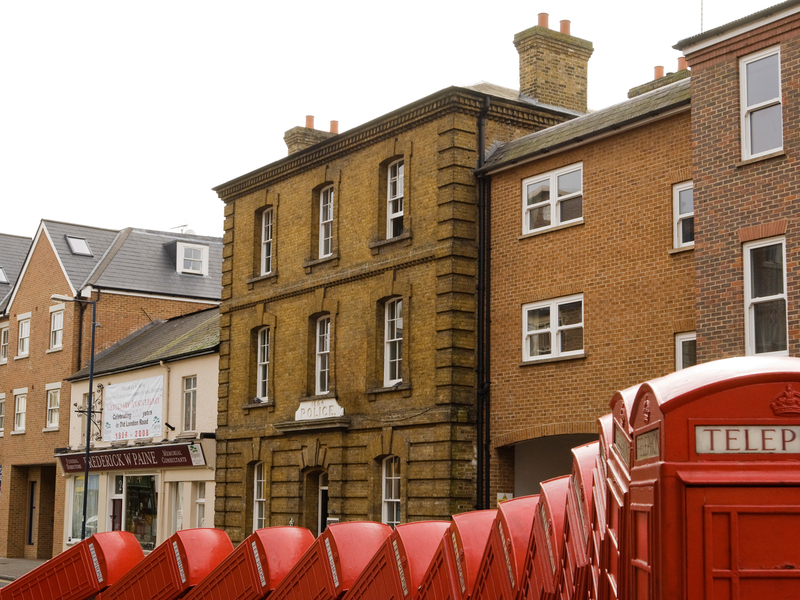 in 2006, 3s was approached by a property developer to refurbish the former police station in kingston. 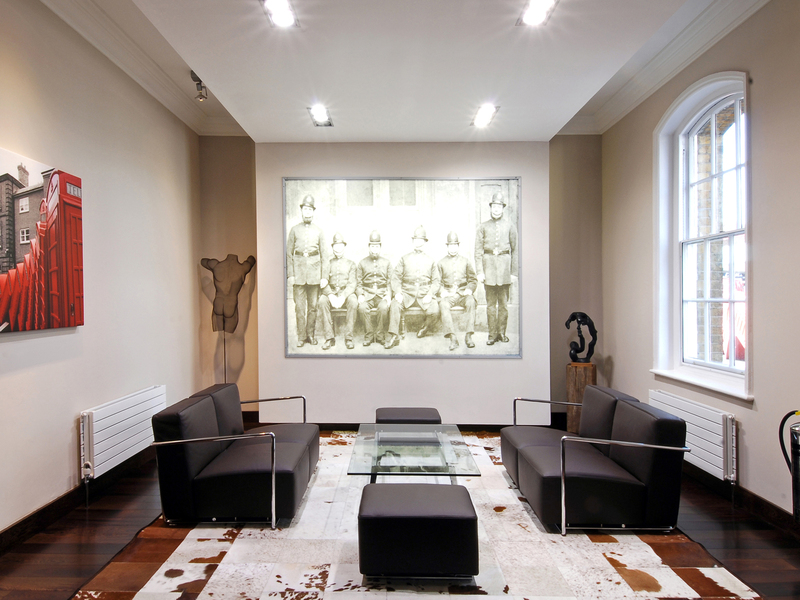 this listed victorian building was transformed into the developer’s headquarters and additional serviced offices on the second floor. the design also included a large meeting and conference room, finished in dark wenge hardwood, opposite a reception and waiting area. in 2011, the same client asked 3s to look into phase II of the project. 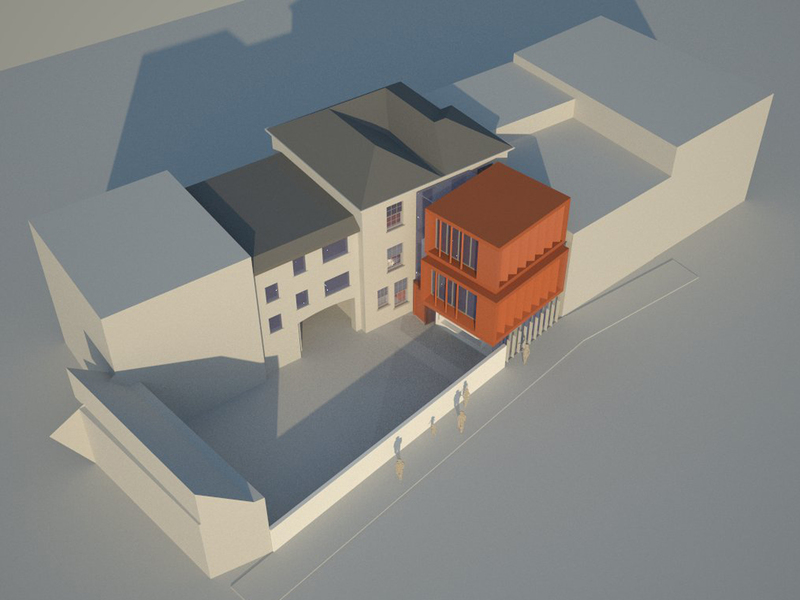 the new proposal intends to replace the single storey extension at the rear of the building with a three storey new build contemporary office building. 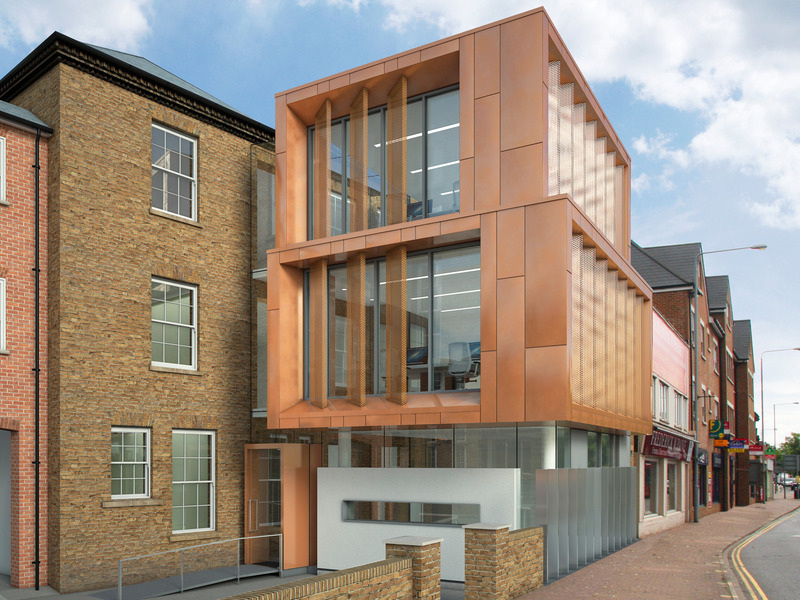 In order to make the traditional features of the original building as visible as possible, 3s introduced a full height glass wedge between the rear façade of the listed building and the new building. 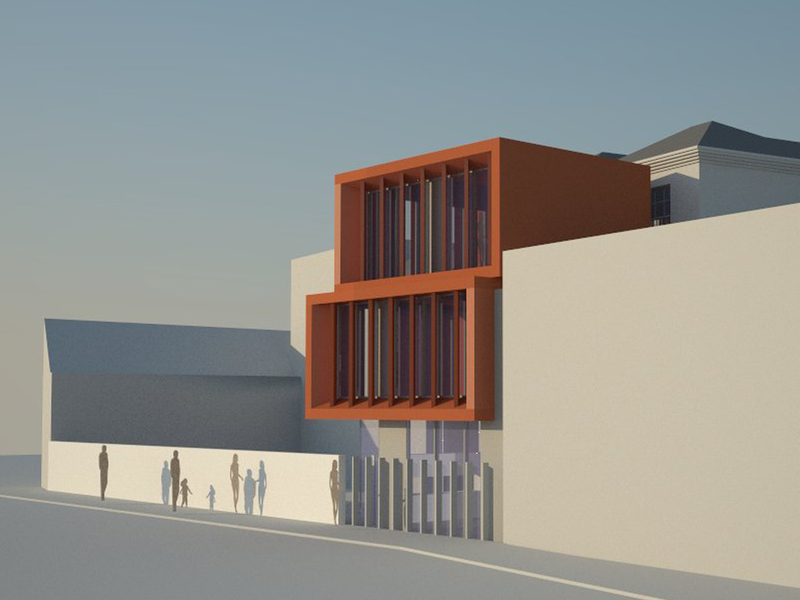 the skin of the new building might be clad in copper with the ground floor area set back and transparent to street level. 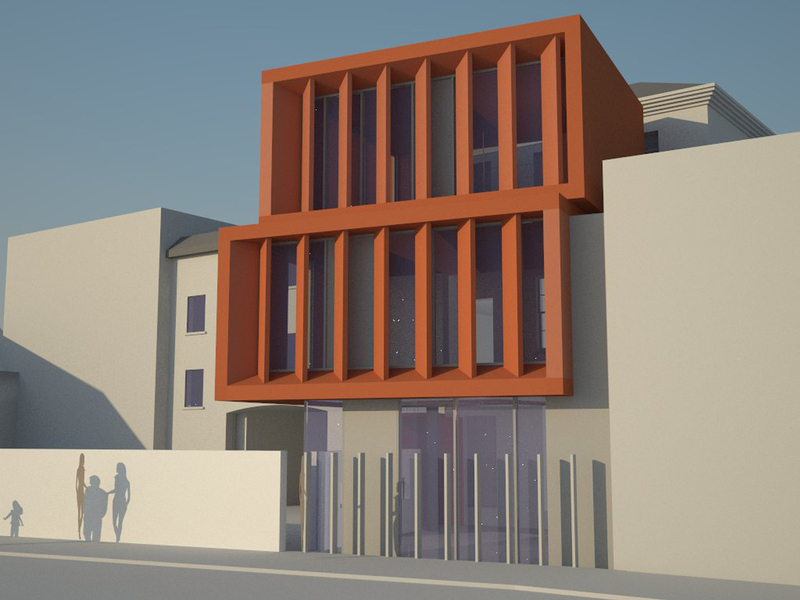 planning permission has been granted for the proposed extension work. we are awaiting instruction from the client to commence with construction preparation.